"OK Google" enabled so you can make calls, text, get reminders and browse freely without the need of a phone. W-Fi and Bluetooth enabled - or you can even pop in a SIM card to use with any GSM carrier worldwide (such as AT&T and T-Mobile or any other carriers that use a SIM card). For CDMA networks however, you can only use Wi-Fi and/or Bluetooth. Dynamic Design; 1.38-inch Full Circle P-OLED Display; Rotating side button for effortless navigation. Music is always right on hand. 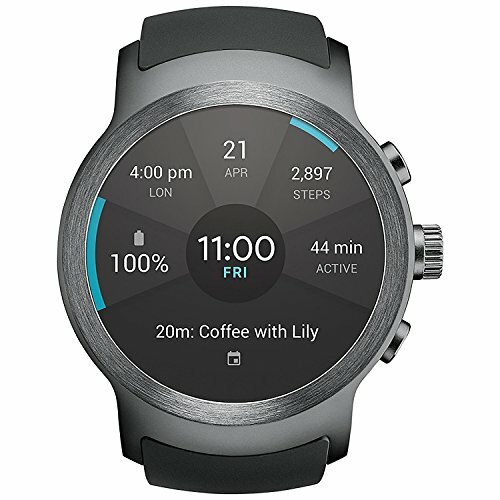 Sync playlists directly to the watch or stream with Google Play Music.